The trail of refugees and migrants trying to get across Europe to the "promised land" in Germany clearly shows how problematic attempts at European Union integration have become. Neither a single country, nor a union of countries sharing common values, the EU is not able to address crisis in a unified manner. These problems have cropped up not just in response to the refugee flood, but also due to the Euro crisis, the Greek bailouts, and the rise of xenophobic Eurosceptic parties. The problem is that the EU includes too many countries with cultures and economies that do not align. The political structure gives the EU enough power over some aspects of its member states to cause local resentment, but not enough power to get things done quickly. All of those problems are coming to the forefront as countries with contrasting interests try to place asylum seekers. If it were truly a union of equal countries, each would take some of the responsibility based on equal abilities. Instead, most Syrians want to go to Germany, where the economy is perceived as much better, and Eastern European countries, with underdeveloped economies and no history of embracing the proclaimed Western European values of inclusivity, are resisting plans to spread refugees across Europe. Slovakia doesn't want refugees, and refugees don't want Slovakia. Renmin University of China professor Wang Yiwei, who studies EU policy at a dedicated research center at the school, was interviewed about this in the October 6 issue of Southern Weekly (Nanfeng Chuang). He said Europe can be divided into three geographical groups reflecting their drinking preferences: the beer drinking nations clustered around Germany, the wine drinkers like Italy and Greece, and the vodka drinkers of Eastern Europe. The biggest problem is the difference between Eastern Europe and Germany, but even the split between the wealthier north and less wealthy south has long been present and caused resentment when Germany had to bailout Greece. A currency union between countries with such different economies is bound to face problems. 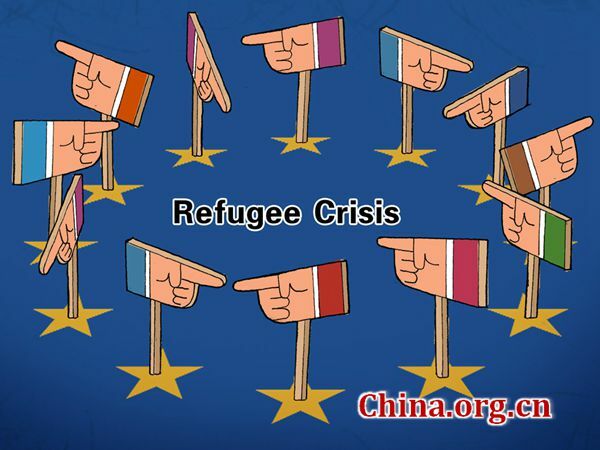 The flood of refugees pouring across Western Europe, mainly from Syria, at present has revealed some of the weaknesses of the entire EU structure that its founders never imagined.